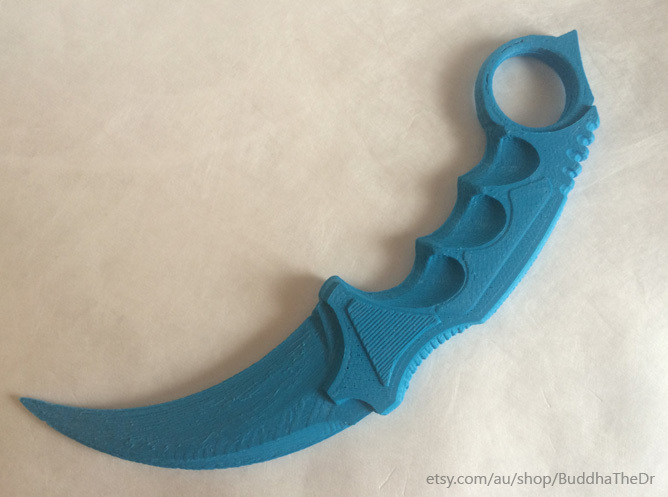 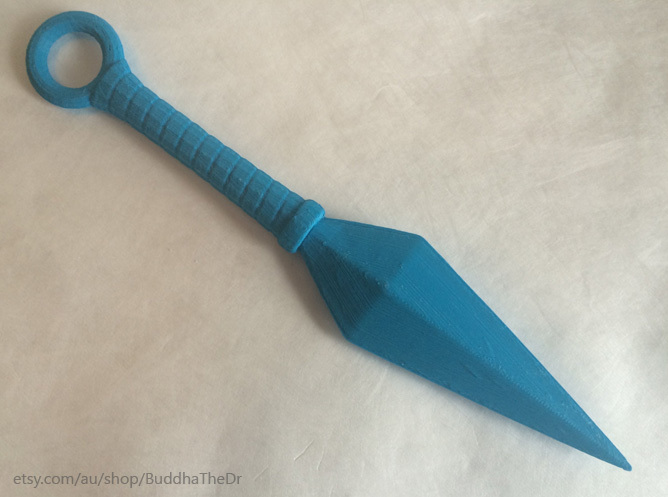 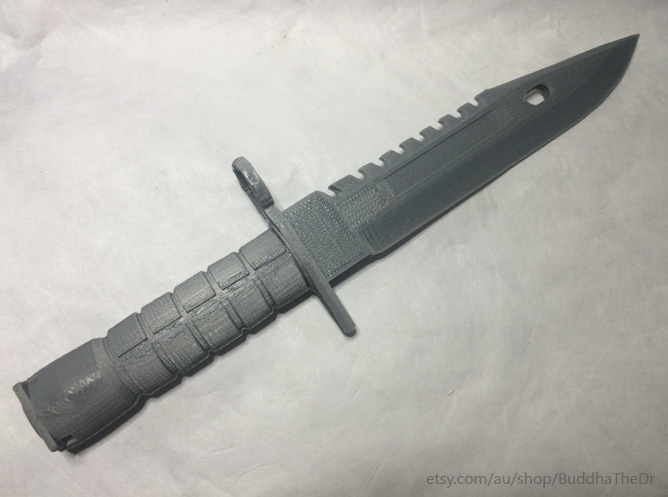 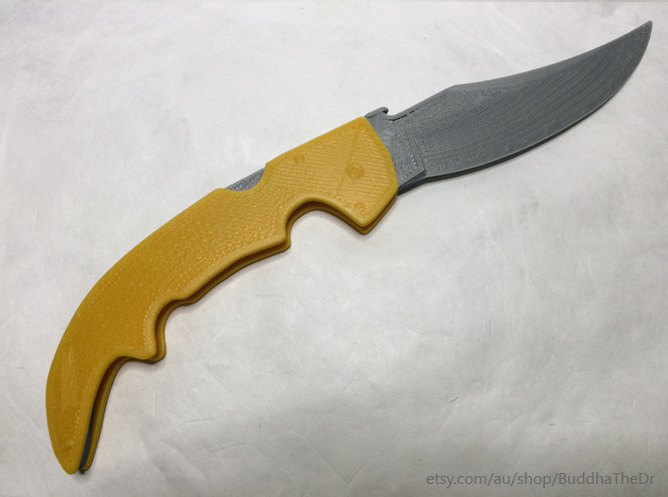 Youtuber BuddhaTheDr has been busy 3D printing a range of popular Counter Strike Global Offensive knives. 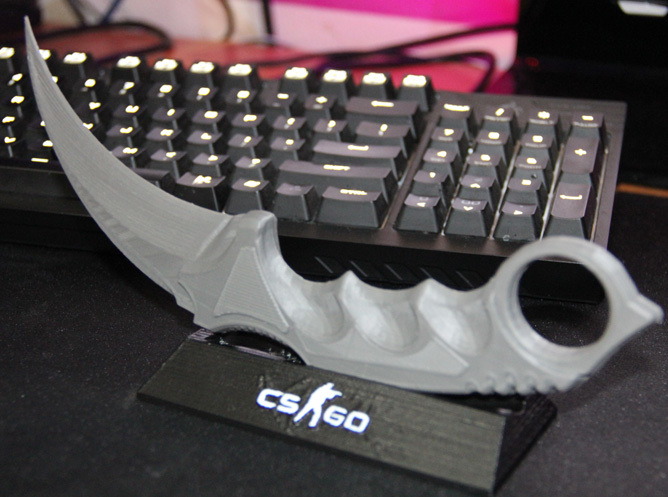 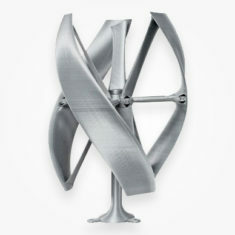 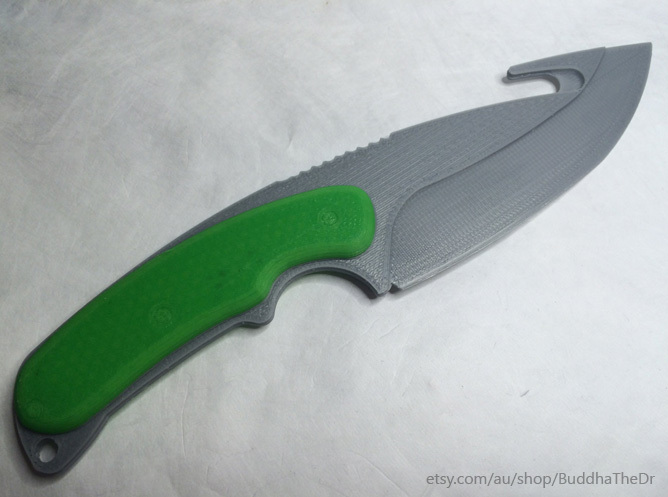 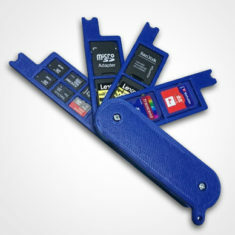 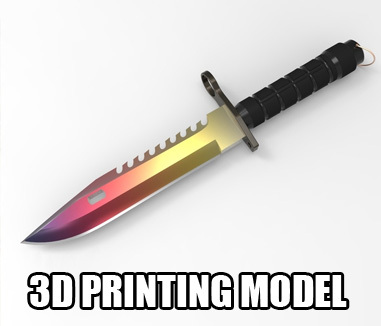 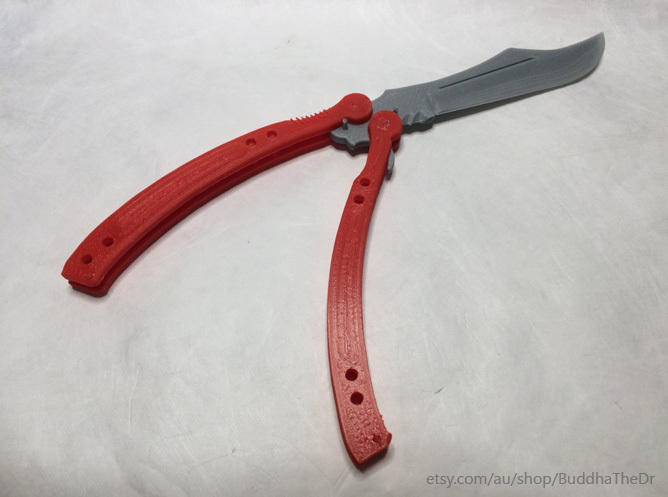 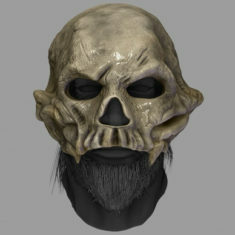 He models the knives himself and has printed most of the popular knives from the game. 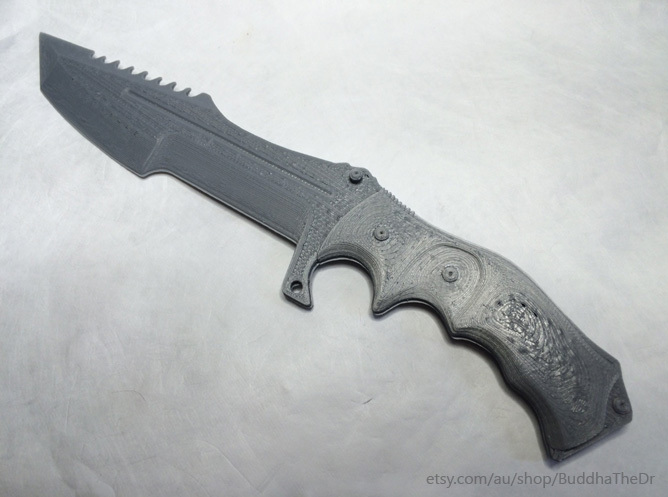 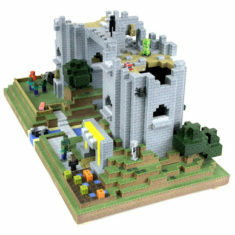 If you don’t want to spend a few hundred dollars on the digital version you could always purchase one of is prints on Etsy or print one yourself using some files from Yeggi.